Cartoon Network has an integrated presence on the ground at the Atlantis Resort in the Bahamas that works pretty well, so why not try it in the air? Southwest Airlines and Turner Broadcasting System, Inc. announced today it will add Cartoon Network to the carrier's inflight entertainment portal, which streams free live television programming to passengers' Wi-Fi-equipped personal electronic devices. Content from Cartoon Network's programming such as Adventure Time, Regular Show, The Amazing World of Gumball, and Ben 10 Omniverse is now available for inflight viewing. 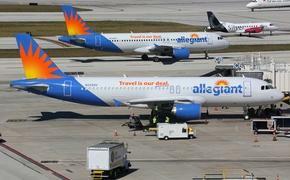 Cartoon Network is the airline's first complete child-centric programming being offered onboard all Southwest Wi-Fi-equipped aircraft, representing nearly 80 percent of the airline's fleet. 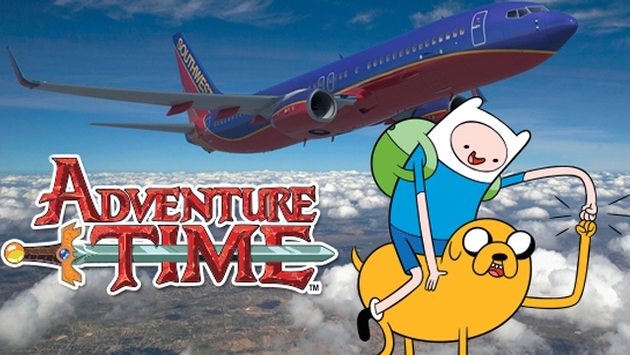 The streaming TV service is provided by connectivity partner Global Eagle Entertainment Inc.
"The addition of Cartoon Network to our breadth of programming is a big win for Southwest and our Customers," Kevin Krone, Southwest Airlines Chief Marketing Officer, said in a statement. "This partnership with Turner and GEE continues to drive customer value for our brand and even more choices for entertainment onboard." "We're thrilled to partner with Southwest Airlines to offer some of our most popular programming from Cartoon Network to its passengers," said Debbie Cooper, president of Turner Private Networks. "Being the first children's network to be added to their TV lineup speaks volumes about the value of Cartoon Network and the importance of offering child-friendly content inflight as a viewing option for families during travel."